Alexandria, VA—Visit Alexandria, the nonprofit destination marketing organization for Alexandria, Virginia, located minutes from Washington, D.C. and named the #1 Best Value U.S. Travel Destination 2018 by Money magazine and one of the South’s Prettiest Cities 2018 by Southern Living, welcomes Karen Kotowski as chair of its Board of Governors. Kotowski, chief executive officer of the Events Industry Council, began her one-year appointment on July 1, 2018. As chief executive officer of the Events Industry Council, Kotowski is responsible for the day-to-day management and strategy of the federation, which represents 32 organizations in the meetings, exhibition, events and travel industry. 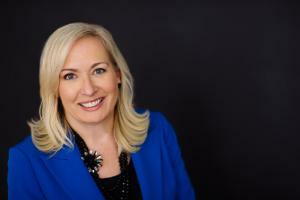 She also manages several signature programs, including the Certified Meeting Professional (CMP) designation, Accepted Practices Exchange (APEX), Sustainable Events Initiative and the Events Industry Council Hall of Leaders. Prior to joining the Events Industry Council, Kotowski was vice president of member education with the National Association of Home Builders (NAHB) for 16 years. During her tenure with NAHB, she focused on providing education and business management services to the members of the organization. Kotowski has more than 20 years of meeting planning, education and program management experience for nonprofit associations and private sector companies. She has a proven record of strategic and entrepreneurial vision. Kotowski graduated from Penn State with a degree in public service and holds both the industry’s illustrious designations, the Certified Meeting Professional (CMP) and the Certified Association Executive (CAE). The Visit Alexandria Board of Governors has 15 members representing the following categories: hotel, restaurant, retail, attraction, historic/preservation, association, City government appointees, and citizens-at-large. Kotowski has served on the Visit Alexandria Board of Governors since July 1, 2014. She served as vice chair from July 1, 2016, through June 30, 2018. Kotowski recently wrote a blog post for MeetAlex, Visit Alexandria&apos;s blog for meeting planners. To read "Tread Lightly: Shrinking Your Event&apos;s Carbon Footprint," click here. Visit Alexandria is the nonprofit destination marketing organization for Alexandria, Virginia. Named the #1 Best Value U.S. Travel Destination 2018 by Money magazine and one of the South’s Prettiest Cities 2018 by Southern Living, Alexandria hums with a cosmopolitan feel and a walkable lifestyle—a welcoming weekend escape next to our nation’s capital. 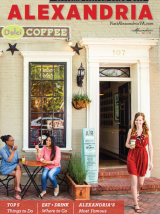 A nationally designated historic district founded in 1749, Old Town Alexandria is home to more than 200 independent restaurants and boutiques alongside intimate historic museums and new happenings at the waterfront and offers a distinctive setting for small to mid-size meetings. At the heart of it all is bustling King Street, a walkable mile recognized as one of the “Great Streets” of America. New restaurants tucked into 18th- and 19th-century architecture still intact from the city’s days as George Washington’s hometown ignite historic and off-the-beaten-path neighborhoods as the waterfront district evolves with new energy.